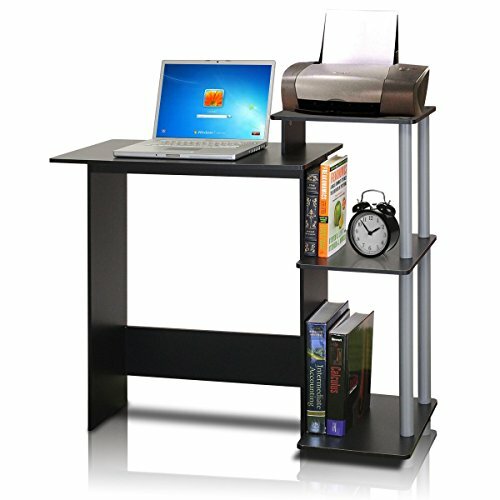 With these small desks for small spaces, getting your work done on your computer setup or laptop doesn't have to forsake form, function and your budget along the way. Where space is at a premium, sometimes it just makes good sense to put your computer desk where you'll be catching some well-deserved Zzzzs soon after completing that all-important assignment ~ even if it is only social networking. And your desk doesn't have to interfere with your beautiful bedroom decor. 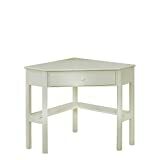 I'll show you how you can fit everything into a small space be it your bedroom or common living space. The only rocket science here might be the project you're currently working on. 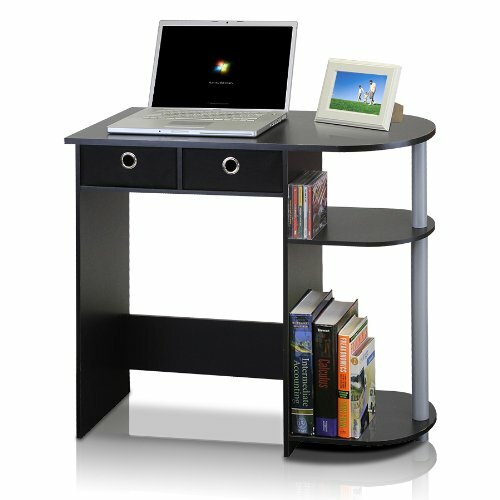 Finding a small corner or writing desk for your computer that fits one's comfort level as well as a bedroom's small space allowance can be tricky. Too, finding a price that's cheap enough for a stretched budget adds to the odds of finding the best fit. Sound familiar? If so, scroll down for some ideas for creating a work-at-home space for your computer you can appreciate. 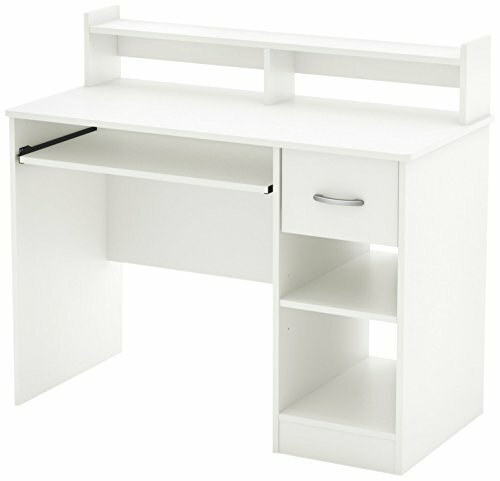 Corner desks are great for small spaces. 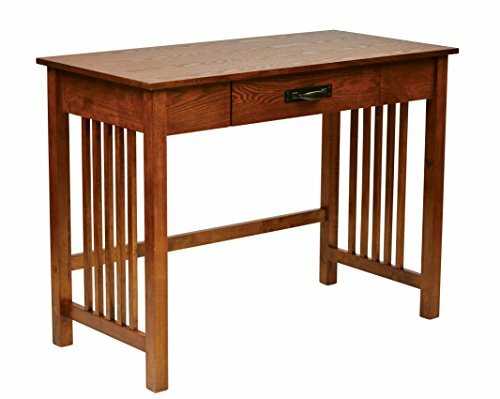 It's desks like these small designs in several popular wood finishes are a great way to fit your home office with must-have work surface and nominal storage without monopolizing valuable floor space. The desk's wood finishes will work well with a plethora of other, existing bedroom furniture, so it won't be the 'elephant in the room' per se. Decorating can be one expensive venture and it's important to surround yourself with things you love. But creating a reasonably-priced, ideal, albeit, small space where you can work and relax may seem a bit counter-intuitive, unproductive and far too costly. Using 'utility' pieces like these small desks that look like your other bedroom furniture can add to your decor scheme while serving a purpose. The lines in these corner desks for small spaces have the hardware and finishing touches that are more akin to actual furniture than cold office desk. It's important to consider how you will use your desk beforehand. 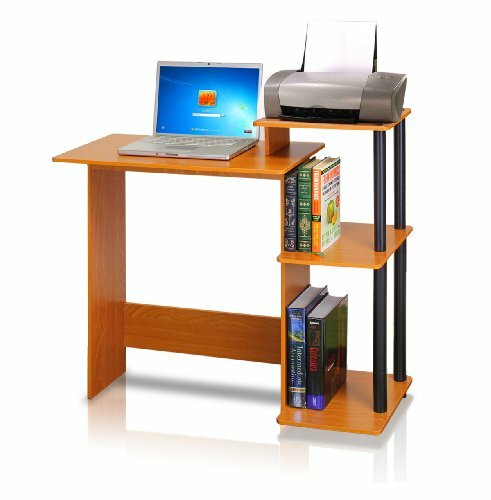 In small bedrooms and living spaces, you may want to forgo the drawer and opt for the pull-out keyboard shelf for your laptop or home computer use. You can always hang decorative baskets or shelves on the wall for added storage, leaving the desk top free of clutter. I tend to spread out with at least one book, papers and pens; there doesn't seem to be room for much else than task-related items, so the shelf will come in handy if you've similar work habits. Too, if you've very long legs, the drawer might hit your knees making one uncomfortable 'sit'-uation. Considering your decor scheme, planned use and ensuring activities before you buy will result in the best investment. 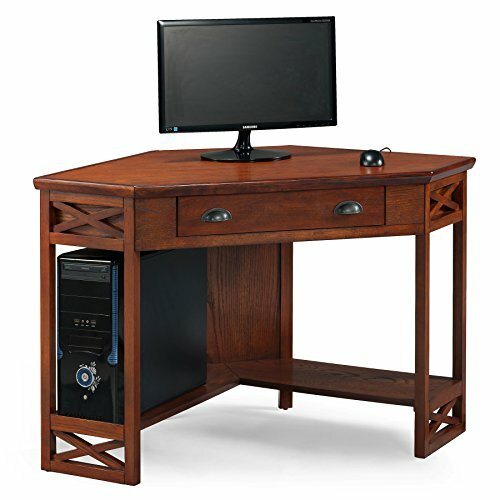 These attractive, yet small computer desks for small bedrooms and living spaces are available in several popular finishes other than white, too. Most of us have bedrooms where every square foot is of utmost importance. Using it wisely--especially in smaller bedrooms-- simply means making use of what's above and below each furniture piece. Small bedroom computer desks for small spaces, such as this one will afford you plenty of room below for manuals, references and paper while the pull-out shelf supports your laptop. Initially, I was concerned about the leg room being lost with the shelves, but considering the pull-out computer keyboard/laptop shelf, the 'lost' room is restored. I recommend taking advantage of the space behind the desk with a decorative French bulletin/message board and perhaps a few natural weave, rattan baskets for mail or supplies. If you've a small bedroom or living space needing a small desk--even if it's a closet that's a bit dark, opting for a lighter furniture finish can breathe 'light' into the room. 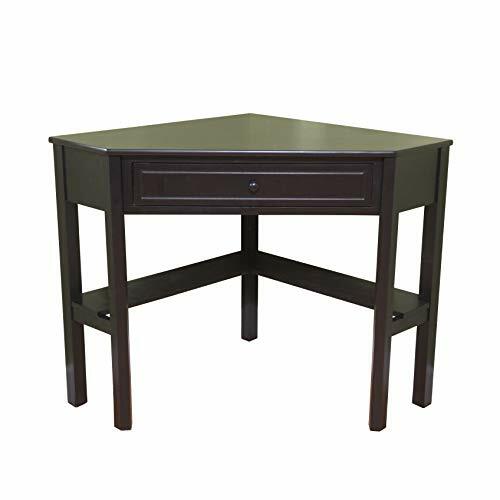 But if you do really have a closet and you're not ken on decor, anyway, this uber-small laptop desk in black will fill that small space--and then some. I love the super-smart design of either of these laptop desks; it's small styling, but the storage is king with the shelves. For really dark, uber small spaces, this small laptop desk will brighten your . . . er . . . closet or small bedroom and you'll have all the room you need for heavy-duty furniture. My first 'home office' was my bedroom closet--and I loved it. I could shut the door and have all the quiet I needed. 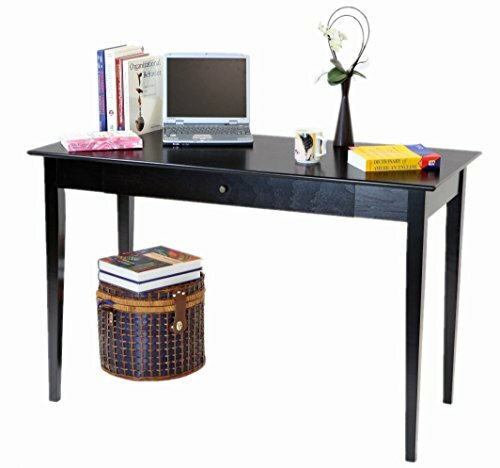 Where you have a traditional palette in your small space, and lots of writing and computer work to do, consider saving space with a smaller nesting desk such as this one above with a convenient hutch and desktops that slide out for envelopes and a nice drawer for supplies, much like nesting tables. Bulletin boards come in a host of styles. You can pick up a cheap cork bulletin board and cover it with a print or poster. Allow the board's frame to show as the new poster's frame. Simply glue the poster to the cork or magnetic surface and you'll have one framed piece of wall art you can tack your important sticky notes, memos and other important pieces to. 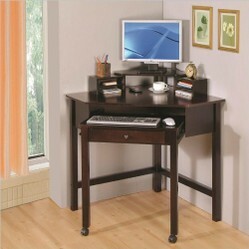 Ideally, stain the frames beforehand for added beauty in your bedroom or small home office. The small laptop desks at the right here, are just the right size for small spaces. The short hutch allows you more storage without an avalanche of clutter assaulting your every move. The desks at right are by SouthShore, a brand I'm familiar with--but beware; the desks may be small but they weigh a lot! When considering a new furniture piece for your small bedroom or living space, I recommend drawing out your bedroom's or other floor area, first. The drawing need not be to scale, just get the unique characteristics of your bedroom or living room on paper. then, introduce the 'furniture pieces' which you've cut from plain paper. The sizes should be relative to your bedroom ~ if the bed is biggest, cut out a rectangle that's bigger than a chair or the planned desk (which would be rectangle). Doing this will prevent multiple furniture arrangements, moving furniture about the room. Not fun! . 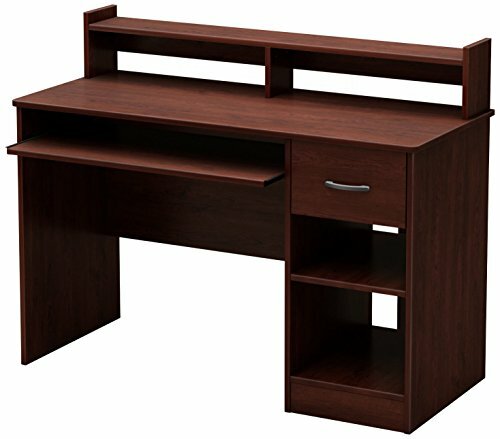 As a writer with space constraints and a small bedroom, these Mission style writing bedroom desks will accommodate a computer quite easily and make the biggest impression, too. 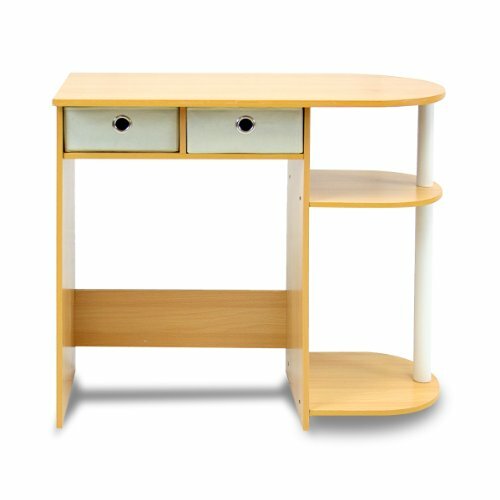 These two small laptop desks for the smallest of spaces, have a great design and promise storage, storage, storage with their two drawers and nice shelves for a host of media and reference materials. 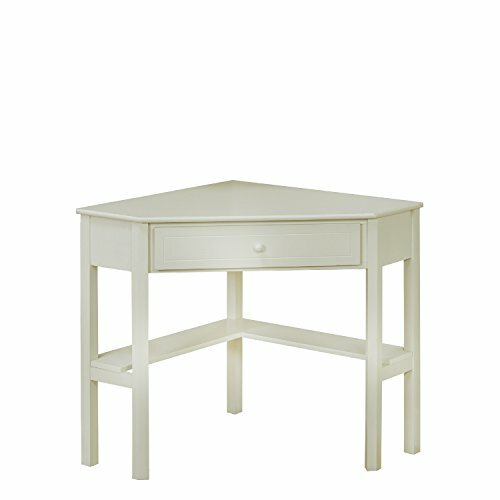 The desks are lightweight but attractive and they'll fit your small space without having to heave and ho it into place. I've often preached the less is more mantra when giving decor advice. 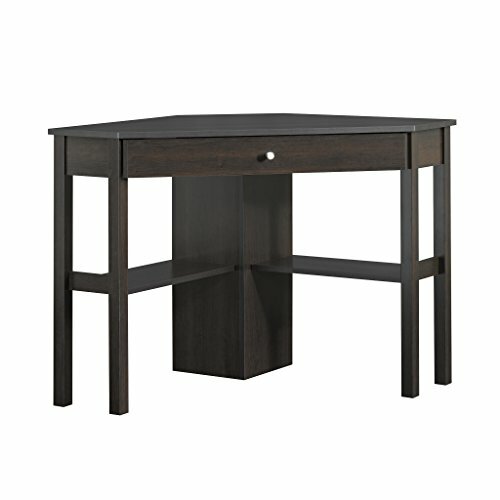 Simple, nondescript furniture pieces like this writing/computer desk will fit in any number of decor genres without competing for attention in small spaces. 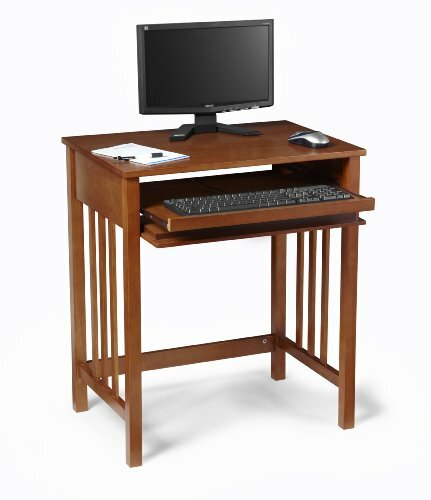 If you're like me and position yourself at the desk for long writing appointments with your computer and keyboard, I recommend a desk much like this one for your bedroom or small home office. Which desk style is your fave? These budget-wise, leaning ladder bookcases with desk ( Harlan style) will add form and function to your home office wherever you need it, saving space and keeping clutter at bay.